Katie Aselton hit the blue carpet on Monday(April 2nd) at the season 2 premiere of 'Legion' at the DGA Theatre Complex in LA. 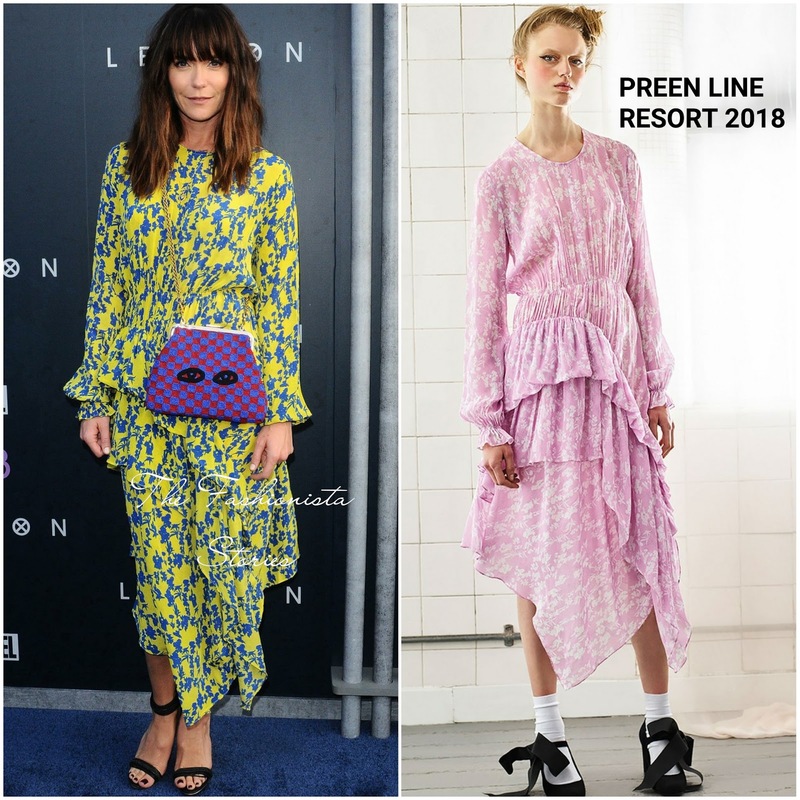 For the occasion, she wore a PREEN LINE RESORT 2018 yellow & cobalt blue long sleeve ruched ruffle panel dress which featured an asymmetrical hem. Katie's dress was shown in a different colorway in the look book. Love this dress on Katie and I think the CLARE VIVIER chain strap shoulder bag added a playful contrast to her look which worked. However I wish she wore her hair in off-the-shoulder or in a pulled back ponytail. Black ankle strap sandals finished up her look.